The GPS test checks the device can get the current location from the telephony network and from GPS satellites. 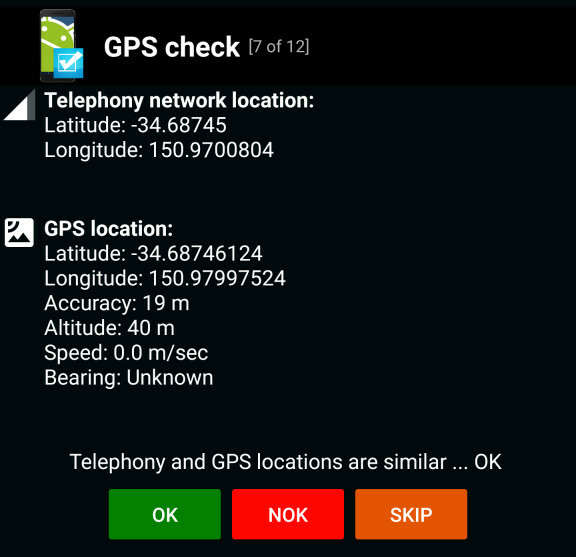 The location from the Telephony network and the GPS satellites are compared to show the basic GPS functionality is working. It should be noted that the GPS test requires line of sight to GPS satellites, i.e. outdoors (or at least near a large window).